We have various type of quality bamboo flooring parquet to offeryou the best quality of bamboo parquet flooring for your needs. 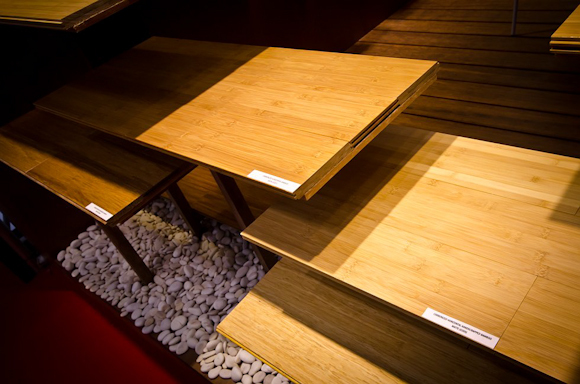 Bamboo is an attractive alternative for flooring because of its physical similarities to hardwoods,Defined by its strength, durability as well resistance to insects and moisture while having the added benefit of being eco friendly. Bamboo has also gained a reputation as an eco-friendly, highly renewable source of material. Compared to wood it grows much faster because bamboo is a grass not a wood. Bamboo can grow up to 47 inches and 78 ½ feet high in 40 -50 days. It takes about 3-5 years for bamboo to reach full maturity. Traditional hardwoods can take 20 -120 years to mature.